As a part of our ongoing features on 2011 Corporate Wellness Leadership Awardees, this issue dives into the dynamic wellness achievements made by Hillsborough County and Navistar. Corporate Wellness Magazine: Describe in detail some of the specific programs and strategies used within the Vital Lives initiative. Dan Pikelny: Vital Lives is our internal employee health and wellness advocacy group. We launched it in 1998 and it supports our company mission to improve our employees' quality of life while helping to drive down health care costs, so that Navistar can continue to provide the excellent level of benefits to which our employees are accustomed. Vital Lives encourages employees to take an active role in their health and health care. Programs offered help employees adopt healthy lifestyle habits and make informed medical decisions so that they may respond more proactively to their individual health needs and the needs of their family. ‍CWM: What is the percentage of employee participation within your company's wellness program? ‍CWM: Have you seen cost savings on medical claims since you have implemented these programs? DP: Over the past several years, the Vital Lives program has achieved approximately $7.0 million in annual cost avoidance and contributed to Navistar's ability to keep health care costs flat for four years ("Navistar Healthcare Metrics") - at the same time most companies have seen significant increases. ‍CWM: Were there any difficulties with employee engagement initially? If so, how did you combat them? CWM: Congratulations on receiving the 2011 Corporate Wellness Leadership Award! We also interviewed Terri Arias, Health and Wellness Manager received the Corporate Wellness Leadership Award on behalf of Hillsborough County for their employee wellness efforts in safety awareness and training programs. Hillsborough County's program provides employees with in-class education on weight management, nutrition, diabetes management, blood pressure, cholesterol, stress management, and smoking cessation, which target health needs identified by screenings and Health Plan claims. Their forward-thinking program also offers biometric and skin cancer screenings for prevention, early diagnosis ("at risk"), and "high risk or critical" stages of illness. Because of this, Hillsborough County was honored amongst a few others at this year's annual conference. Corporate Wellness Magazine: Why did Hillsborough County select biometric and skin cancer as screening options for employees? Terri Arias: Hillsborough County provides biometric screening for prevention, early detection or at risk, and high risk or critical stages of illness. The biometric screening is provided along with the health screening for blood pressure, glucose, and lipids. The results are discussed with the employee and they are given an overall assessment of their health, blood work results, and health risks with steps to improve their health and decrease their health risks. In cases where the results are out of range, employees will be referred to their primary physician. In addition, a personal nurse, through our health insurance carrier, will contact the employee and offer assistance in the personal nurse and disease management program. After a screening, we utilize this information to develop programs to address the needs and health risks of the department such as diabetes, weight management, cholesterol, blood pressure, stress management, smoking cessation, and nutrition. Unfortunately, we have had several employees who were diagnosed with skin cancer and passed away. Most of them were men that did not take the time to go to their primary care physician or a dermatologist for a skin cancer screening. Since we know that many employees do not schedule yearly skin cancer examinations either due to the cost or time away from work, we started providing the screenings. The screenings are performed by a licensed dermatologist at the employees' work location to make it more convenient and available to all employees at no cost. ‍CWM: Was it difficult to engage employees initially? TA: No, it was not difficult to engage our employees. We provide our wellness programs at the employees' work location at suitable hours so it is convenient for them to attend. All of the wellness programs are provided to the employees at no cost. ‍CWM: Which class do you see employees most actively participating in (or which has the highest attendance) and why? TA: We have good participation in many of our programs such as stress management, blood pressure, cholesterol, nutrition, weight loss, diabetes, and on-site exercise classes. We probably have the highest participation with the skin cancer screenings and the biometric / health screenings which includes PSA testing because these screenings take less time than attending an hour long class and they save the employee the time and money of going to the doctor's office. ‍CWM: How does Hillsborough County intend to expound upon their wellness initiatives moving forward? TA: The Wellness Program continues to expand the programs to all County departments and Constitutional Officers and Agencies. 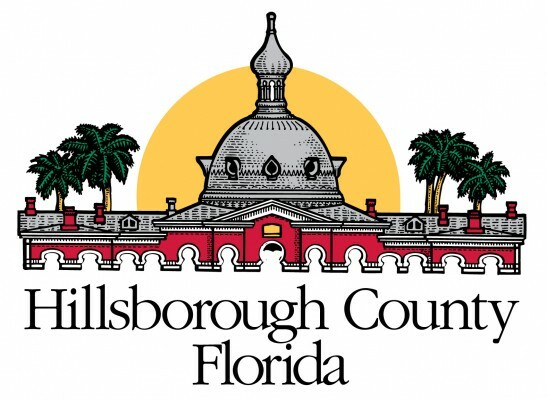 Hillsborough County is the 4th largest county in Florida with a total area of over 1000 square miles. The challenge is reaching all work locations throughout the County. But every year, we have been able to reach new work locations and expand the program and provide services and education to employees. ‍CWM: We wish you well in future endeavors and congratulations on receiving the 2011 Corporate Wellness Leadership Award! ‍Please help us focus our content and improve our website by taking our brief Wellness Survey. For more information on the 2012 nominations, and/or how to submit nominations, you can contact us by clicking here.